The hair colourist Leland Hirsch has collected 20th and 21st century photography for nearly 20 years. Befitting a man entwined in the fashion and beauty industries, this is one stylish collection, featuring fashion photography by Irving Penn, Herb Ritts and Richard Avedon, Surrealist works by Man Ray and Diane Arbus portraits. Shown here is Hog Ranch Front Lawn, Night Feeder (2:00am) with Maureen Gallagher and Mbuno, Feb.1987 (1987), by Peter Beard. The unique mural-sized work is embellished with various collage elements, including drawings of insects and animals, along with blood, a box of matches, a leaf and photos of baby gorillas (est $200,000-$300,000). Selling off the contents of a hotel is a gargantuan task and Artcurial will take five days to auction furnishings from the Ritz Paris that are surplus to requirements following the hotel’s refurbishment. The sale includes paintings, chandeliers and French antiques from Louis XIV to Empire style, from the Coco Chanel, Windsor and Imperial suites among others. 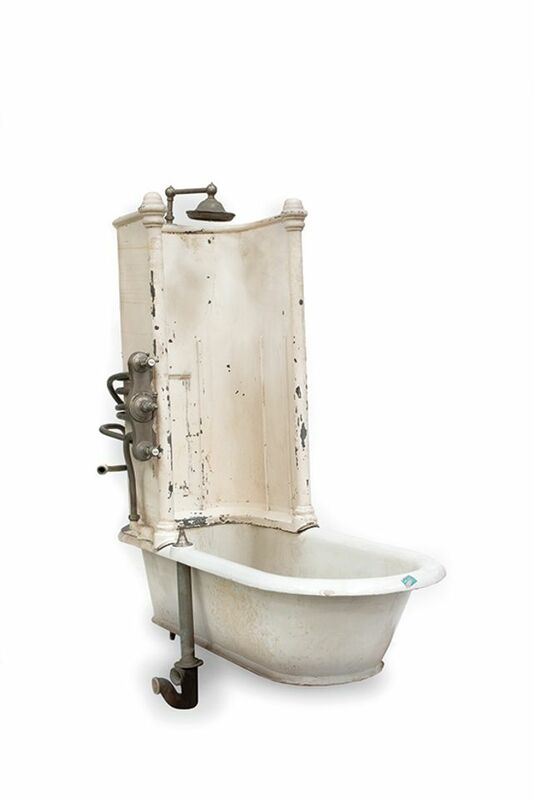 Also on offer, and in need of some restoration, is the hotel’s first bathtub (est €1,500-€2,500); César Ritz was big on cleanliness and the hotel was one of the first to have bathrooms in every room. Dorrance “Dodo” H. Hamilton was the philanthropic- minded heir to the Campbell’s Soup fortune and, following her death last year, Freeman’s will offer art, furniture, silver and other decorative pieces from her three homes. 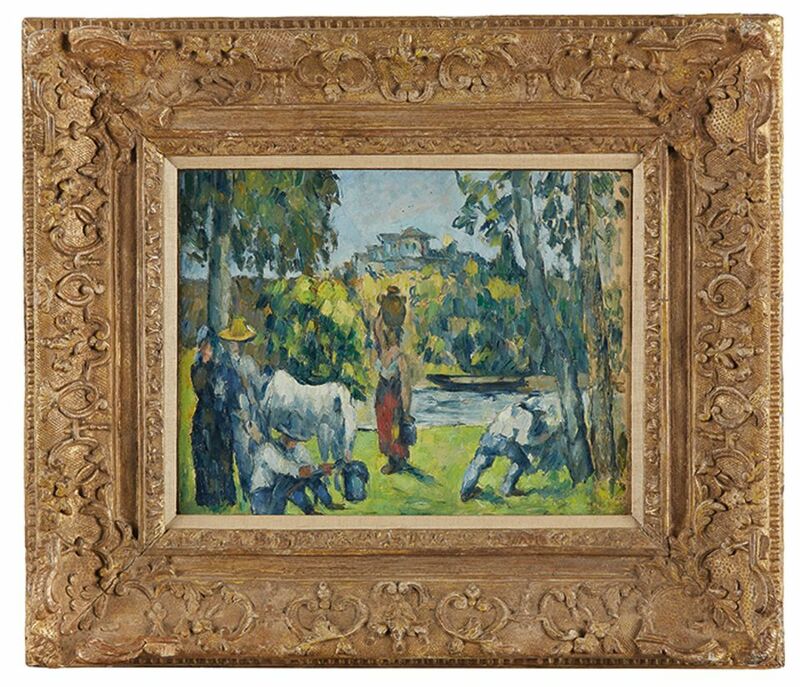 The undoubted highlight is La vie des champs (1876-77) by Paul Cézanne (est $1.2m-$1.8m), originally owned by the dealer Ambroise Vollard and bought by Hamilton’s mother, Elinor Dorrance Ingersoll. It was most recently exhibited at the Philadelphia Museum of Art in 1996, part of a major 1995-6 touring survey of the artist’s oeuvre.